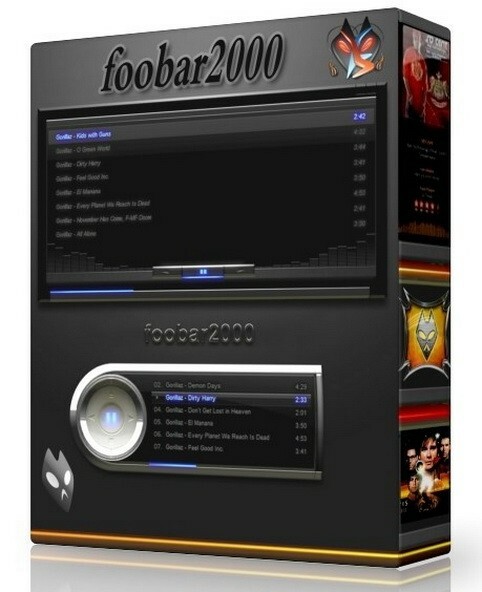 foobar2000 1.4 Beta 15 - Крошечный аудиоплеер с примитивным интерфейсом. Тем не менее, его простота и, в то же время, мощность, чтобы привлечь всех тех, кто не нуждается расфуфыренном интерфейсе, а нужен просто удобный музыкальный проигрыватель. Плеер может воспроизводить: MP3, Ogg Vorbis, MPC, FLAC, Ogg FLAC, WAV, MOD (при наличии foo_mod.dll), SPC (при наличии foo_spc.dll), Monkey's Audio (при наличии foo_ape.dll). Особенности: работа с аудио в разрешении 32-бит, чтение RAR/ZIP-архивов, поддержка юникода и плейлисты на всех языках, встроенный resempler, DSP и многое другое. • Added preferences page to adjust priority order of installed decoders. • Greatly improved DSP manager dialog. • Added output mode switcher toolbar item to Default User Interface. • Playlist & Media Library search use a new text-matching algorithm similar to Unicode Asymmetric Search. • Reworked Default User Interface Preferences pages; improved options for minimize & close behaviors. • Cosmetic tweaks; prettier buttons attached to editboxes in various dialogs. • Cleaned up Opus header gain manipulation, reported value no longer offseted by 5 dB, made header gain respected when embedded in Matroska container. • Matroska support improvements, improved seeking performance on files without seektables. • Made possible to choose between alternate audio streams in MP4 and Matroska files. • Implemented WebM internet stream playback. • Compiled using dynamic VC runtime, raising the limit of how many component DLLs can be loaded. • Made Album List remember expanded nodes (beta 2). • Raised track count limit for cue sheets from 99 to 999 (beta 2). • Fixed a bug causing incorrect tags being read from certain multi-chapter MP4 files (beta 3). • Integration with Windows 10 Universal Volume Control (beta 4). • Playback controls in taskbar on Windows 7 and newer (beta 4). • Configuration saving now uses transacted NTFS if available (beta 7).